Kevin has been providing psychological services to the Cairns region since 1990. He has extensive experience working with children, adults and families both in the mental health setting and in private practice. Prior to establishing Colahan Psychology Kevin worked for the Queensland Health Mental Health Service initially as a clinician and later as a Manager of both Adult and Child & Youth Mental Health teams. He has also previously worked for the Family Court of Australia as a mediator. 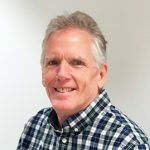 Kevin’s professional interests include the assessment of learning disorders in children and adults, positive psychology and psychological interventions for the treatment of anxiety and depression.